Make sketches, take notes, and write to your hearts content in this Kill la Kill Group Photo Memo Pad! 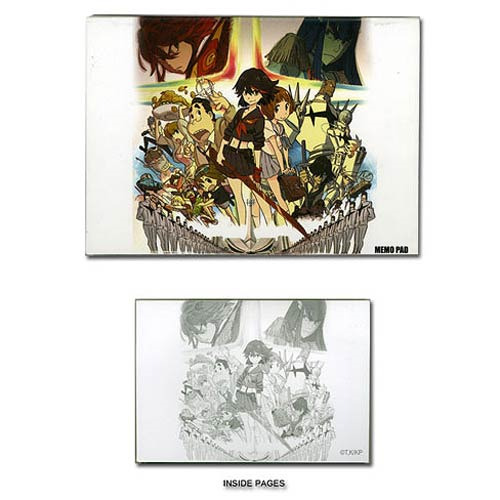 The front of the notebook features an image of nearly the entire cast of the anime series Kill la Kill, including Ryuko Matoi, Senketsu, Satuski Kiryuin, Mako Mankanshoku, and members of the Nudist Beach club, among others. If you're a fan of the anime series you'll love the art on the cover of the Kill la Kill Group Photo Memo Pad!